The East Coast is one of the most beautiful places in Malaysia. It draws visitors for two major reasons: the beaches and islands, and traditional Malay culture. Here are the gems in the South China Sea, which we know from the many movies: crystal clear water with green islands in it. 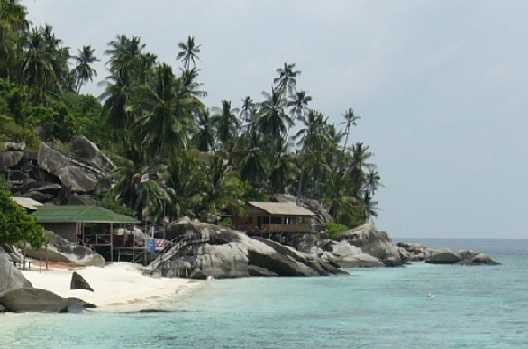 You can get there the Bounty or Robinson feeling on islands like Pulau Perhentian, Pulau Redang and Pulau Kapas. But there are many more! 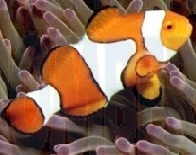 They offer great opportunities for diving and snorkelling. The east coast of the peninsula goes from Johor in the South to Kota Bharu in the North, close to the Thai border. 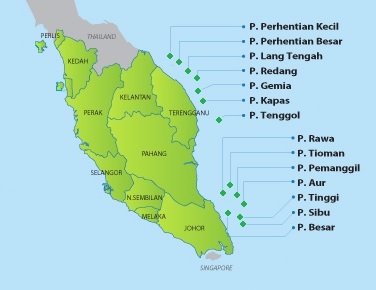 There are four Malaysian states bordering the South China Sea: Kelantan, Terengganu, Pahang and Johor. A little more south is Singapore. Kelantan and Terengganu are conservative: alcohol is harder to obtain than in other states; most restaurants, whatever cuisine they serve, are halal; and dress � for both men and women � needs to be decent, except at well-touristed beaches. Mostly on the islands in the South China Sea. Therefore extra attention for the islands. Click on the island of your choise! The main kampung on Aur is Kampung Teluk Berhala. Everyone seems to be related to each other. There's a school, a police station, a small surau, a balai raya and a jetty there. There's also the friendly Makcik Fatimah who owns the only grocery store in the village. It may be small but it is well-stocked. There's also the only public telephone on the island, solar powered and accepts only telephone cards. According to the locals the telephone is unreliable. Further south is another cove called Teluk Sebukang. It's quite hard to reach by foot so a boat ride is advisable. Just go to the jetty and ask any available boatman his schedule. 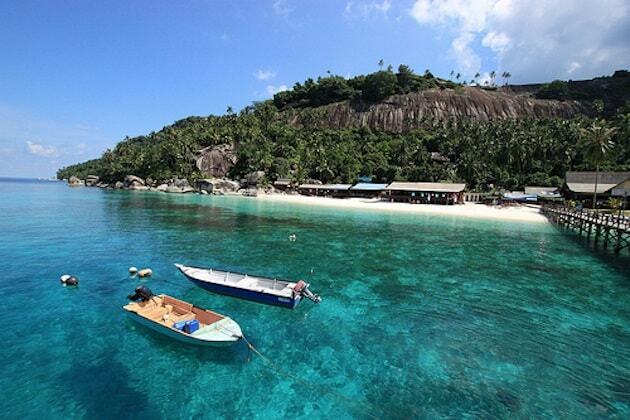 For a price, you can take a boat ride to the nearby island of Dayang or other villages on Pulau Aur.